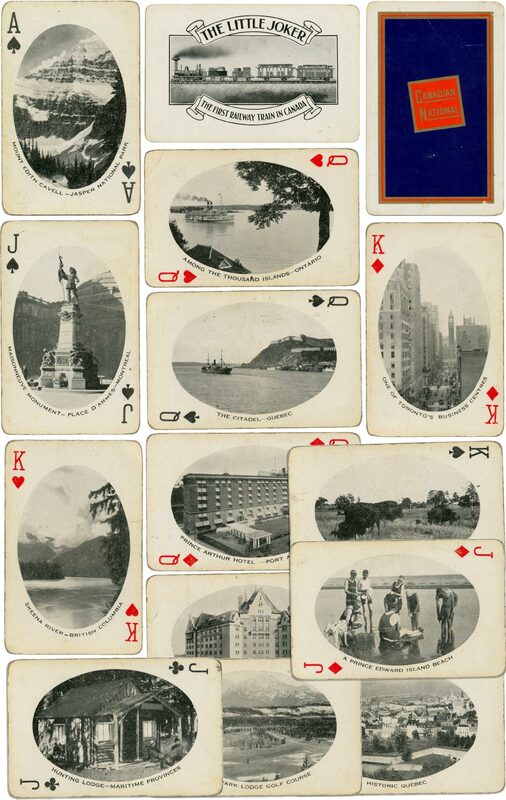 Canadian National Railways souvenir deck, dated to 1927. Every card is gilt edged, and carries a different photograph of Canada. Canadian souvenir decks had often been made in England by Goodall, but later issues were made in Canada or USA. This example with oval monochrome photographs with no outlines, and with curved captions beneath each photo, does not state a manufacturer’s name. 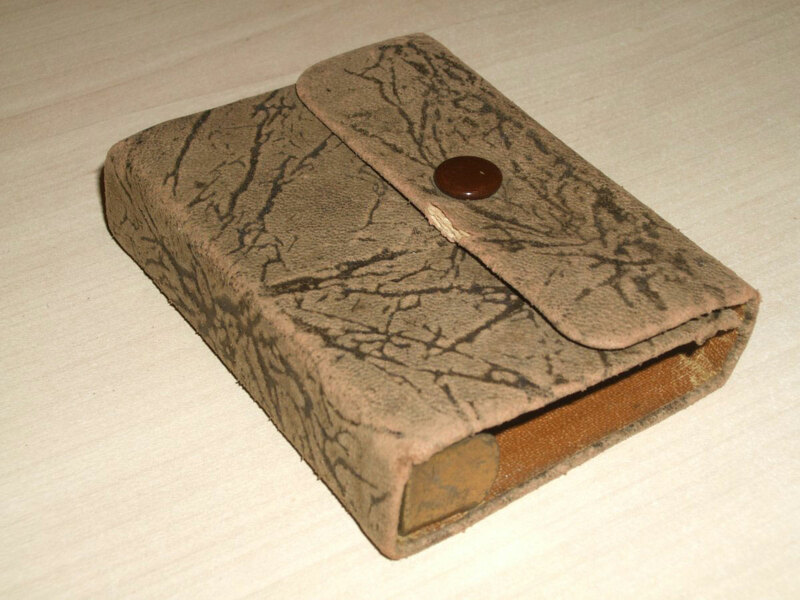 Above: The deck comes inside a leather case with metal clips. With gilt edges and photographs this would not have been a cheap deck! The National Railways logo changed to a rectangular shape in 1927 (so the deck is likely to be no later than 1927). The contract bridge score card included in the pack carries the date 1927, so the deck is no earlier than 1927. Images courtesy Matt Probert.